Travelling across Dundee and throughout Scotland is really exciting, and one of the best ways to do that is by hiring an affordable and comfortable minibus with driver. And few vehicles can match the functionality of a good minibus. A minibus ensures that you won't have any difficulties whatsoever transporting your equipment and baggage because it has all the storage space you need. Minibuses are safer than other vehicles and can accommodate more people, which allow you to cut transport expenses if you are travelling with a large group. But choosing an unreliable vehicle can turn any trip, even the short ones, into a nightmare. 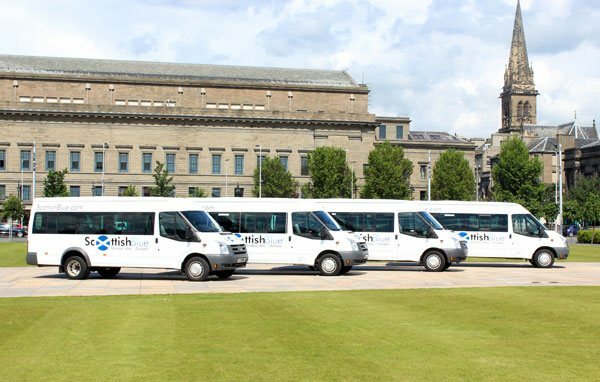 That is why it is really important to find the best minibus hire services Dundee has to offer, and Scottish Blue ® is undoubtedly the company you are looking for. 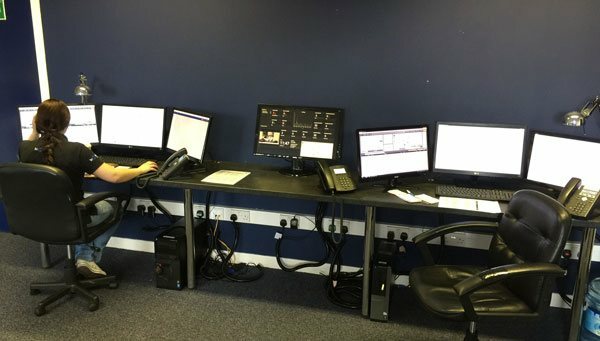 At Scottish Blue ® we know what customers want, and we have designed our services to satisfy the needs of every client out there, even the most demanding ones. We offer a great selection of quality vehicles ranging from 8 to 16 passenger seated minibuses. By choosing our Dundee minibus hire services, you get a clean, comfortable and well-maintained vehicle. We have professional mechanics that ensure that every single minibus used by Scottish Blue ® is reliable and always fit for use. Our minibuses are also equipped with additional extras such as lifts and ramps that facilitate wheelchair users and provide great accessibility. Having a friendly and professional driver is an extremely important aspect of our Dundee minibus hire services, and we know that all too well. All drivers who are part of the Scottish Blue ® team have a vast experience in the transport industry and have undergone extensive training in customer service. At Scottish Blue ® we take pride in the services and vehicles we offer and strive to satisfy every single client no matter what his or her needs and demands are. We've been providing the best minibus hire in Dundee so if you are looking for a pleasant, comfortable and safe trip, contacting us now to find out more about our services. We will gladly answer any question you may have and help you have the best travelling experience possible. Our office opening hours do not reflect our services. We operate 24 hours a day, 7 days a week!